1. With a pencil draw an oval with two triangles on the black foam or construction paper to make the body of the bat. Cut out. 2. With a pencil trace around the child's hands and cut out. 3. 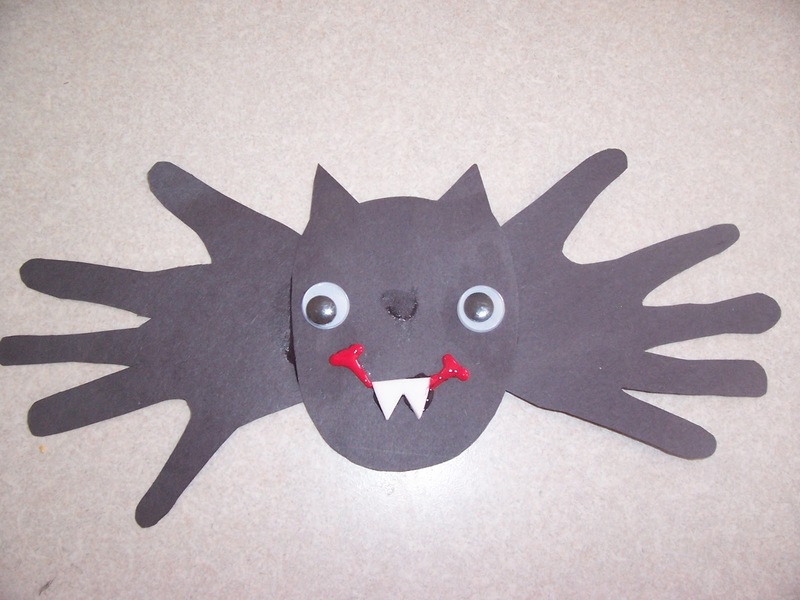 Draw then cut out a fangy smile from the white foam or construction paper. 4. Glue the googly eyes and the smile onto the body. 5. Place the hands so that the bottoms are touching to form the wings and glue the body where the hands touch. Allow to dry completely. 6. Glue ribbon to the back of the body to hang. Allow to dry completely.